Camp location varies and will be provided as soon as we secure the fields. Our Palo Alto YDP camps are often at Cubberly Field, park by 4000 Nelson Drive, Palo Alto; City of Los Altos Camps at Heritage Oaks Park, 1300 McKenzie Avenue, Los Altos. Coach Ken Soccer Camps in Mountain View/Los Altos area will be held in various locations depending on fields availability. 1. All kids must sign up and links and details are provided at www.coachkensoccer.com. 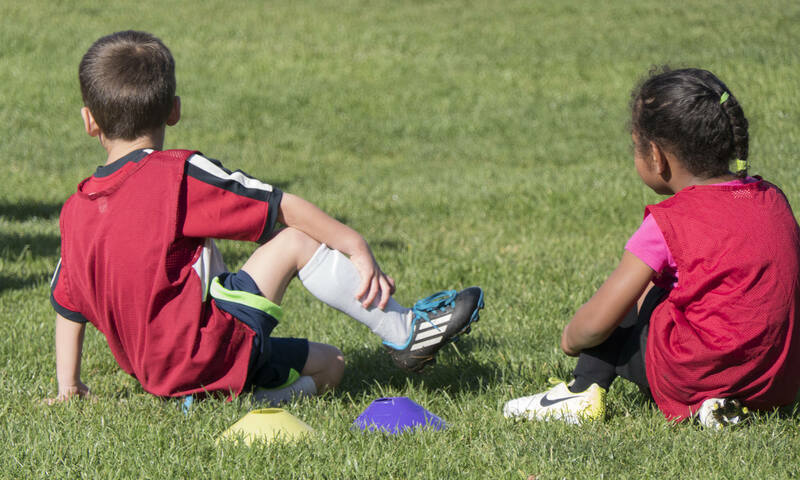 For our YDP Palo Alto Soccer Club camps, sign up is through Teamsnap, for Coach Ken Soccer camps in Palo Alto and in all other areas, sign up is through Activityhero. Sign up for the City of Los Altos camps, is at www.losaltosrecreation.org using code 111263 for half day camps and 111268 for full day camps. 2. It’s mandatory for all players to wear shin guards and closed-toe athletic shoes or cleats; bring enough water/drink and snack for all kids. Due to allergy concerns, we do not allow kids to share drinks and snacks/food. Please remind us if your child has any allergies during sign up. Sunscreen is recommended. All players must be signed up prior to attending camp. Latest rosters will be printed the morning of the camp. Players signed for just a few days can chose whichever day works for them to attend. You can also upgrade to do more days by paying the difference. Let me or the camp site leader know if you want to add day(s). Kids 4-5 years play soccer from 9-11:30 am. Their snack break is 10:30-11 am. They then play 1v1 and soccer match till 11:30 am. They then have supervised activities, like playing at the play structures till 1 pm. Any 4-5 year old who opts to play soccer will be allowed to, but it has to be THEIR decision. We do not want kids to hate soccer because we push them to play longer than necessary considering their age. We would rather a kid loves soccer and plays for the rest of their life instead of forcing them to play 90 more minutes which would make them hate it and maybe never play it again. But for snack break, the entire half-day, 9-10:30 for kids under 6 years and 9 am- 11 am for kids older than 6 is spent on warm-up, review of previous day lesson, agility for soccer-specific movement, speed and coordination, followed by the lesson of the day. We focus on a different skill each day, for example dribbling, fakes and moves, passing, shooting, shielding and defending. The coaches will make sure each kid gets one on one attention and is helped to learn the skills. We use fun games to reinforce the skills, to ensure kids can apply them in real soccer situations. Kids 6 and older learn skills til 11 am. 11-11:30 is snack break for kids 6 and older. For kids over 6, we do 1 on 1 games till about 12:00. For older kids especially, we also do 2 on 1 and 2 on 2 games. We finish the morning soccer session with scrimmages/matches. Unless we do not have more than 8 kids per age-group, all age-levels are broken down further by age, size and ability so that each kid plays with and among kids their size and level. Water- breaks are provided intermittently throughout the session, depending on the intensity of the exercises and the weather. It is important that parents co-operate with the laid down sign in and sign out procedure, and our coaches will insist on it at ALL times. We will have the kids in line and parents have to come to their kid and sign them out. We will not let them come to you, that way we are 100% sure who is picking up. We really appreciate your help, parents, for your continued co-operation has made Coach Ken Soccer a safe place for kids for the past 10 years. We have at least one coach for every 10 kids; this is to ensure kids get ample attention from our experienced coaches. Every camp will mostly have at least 1 male and 1 female coach, and a same-gender coach will generally take the kids to bathroom breaks. Coaches ensure there is nobody else in the bathroom before any kid goes in. They (coaches) wait outside the door. All our coaches have been fingerprinted and cleared to work with kids. If you have questions, email me at coachkensocceracademy@gmail.com. In case of emergencies, you can call or text me at 408-469-1182.